After the Dylan concert in Beijing on Wednesday night, I put a few general thoughts up on twitter and was going to leave it at that, but in the days since there has been a rash of increasingly unrealistic drivel from the foreign press, culminating yesterday in a truly moronic piece by Maureen Dowd. It seems quite a few pundits are disappointed that the “apostle of protest” somehow caved to CCP pressure by not mentioning the detention of Ai Weiwei and letting the Chinese government dictate his set list. I’ve seen Dylan a few times before. My experience over the last decade or so of shows is that the man does not speak to his audience except, maybe, to introduce the band. He does not tell jokes, he does not acknowledge the crowd, he does not give speeches. Those armchair China watchers and ersatz Dylan fans who thought that Bobby was going to get up on stage to harangue the CCP and then lead the crowd in a singalong of “Ai Shall be Released” were seriously kidding themselves. Say it with me: It was NEVER GOING TO HAPPEN. 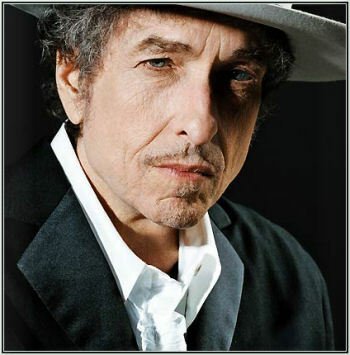 The other skein in these articles is that nefarious forces inside China censored Dylan’s set list, cutting out songs like “Blowin’ in the Wind” or “The Times They are a-Changing,” which the CCP might find politically unpalatable. First of all, Dylan played “Blowin’ in the Wind” the show before in Taipei, and he’s known for mixing up his set lists a little bit each night. We’ll see what happens the rest of the tour. If he plays “Blowin’ in the Wind” every night for the next three months EXCEPT in Beijing and Shanghai then yeah…something was probably up. But for right now, I’m still not convinced. Second, the song he replaced it with in Beijing, a corrosive version of “All Along the Watchtower”, ain’t exactly bubble gum pop. Coming on the heels of an epic “Ballad of a Thin Man” (in which Bob stood in a yellow spotlight at center stage, staring down the crowd like a carnival barker at the gates of Hell and literally snarling lyrics like “But something is happening here/But you don’t know what it is/Do you, Mister Jones?”) it’s hard to complain that Bob was toning it down. Third, like most of his other shows in recent years, about half of the set was from the late 90s/early 00s comeback, more roots-rock/blues/ballads than protest songs. He’s playing the new stuff, and the new stuff just ain’t that political. Fourth, I love Dylan’s lyrics, but as I told Malcom Moore of the Telegraph right after the show, between the horrible sound system at the Worker’s Gymnasium and Bob’s own, ahem, “unique vocal phrasing,” the man could have been singing in Manchu for all we know. Did he put this in as a dig against The Man, or was this just an attempt to shake up the set list a little bit? Only Bob knows, and he ain’t talking. UPDATE: Seems I’m not the only one who thought the Dowd piece was pretty idiotic, Adam Minter of Shanghai Scrap rants from a different angle. Check it out. *A bureaucratic snafu which tripped up Harry Connick a few years back.